A Coffee Shop is one of the best business ideas you can have today! We know there are some easy-to-use coffee-makers that give good coffee every day. Even then, there are people who don’t need that mess of brewing and stuff. So, given that you have followed some crucial steps, you can expect a number of customers who need a tastier, consistent and superb cup of espresso or brewed coffee. That having said, it’s also a business plan in the end and needs proper planning before execution. So, we talked with a few people who have run coffee shops and have worked as a barista. 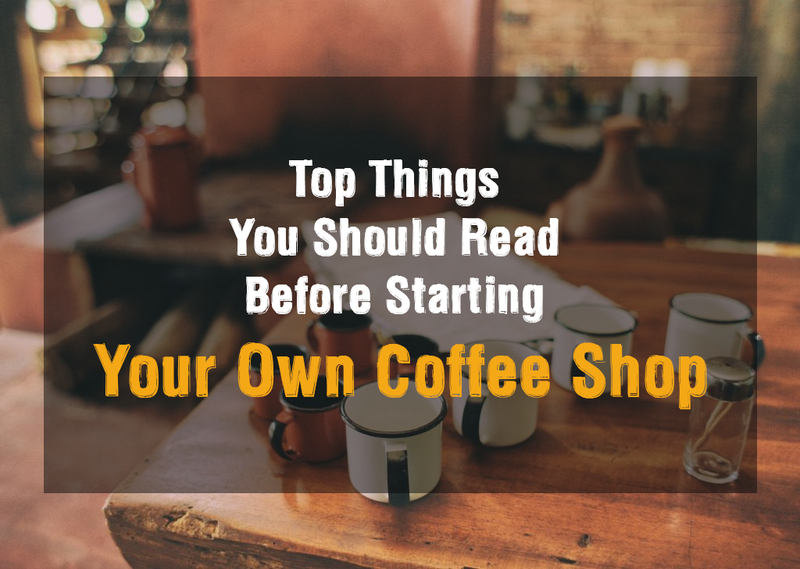 And, in the end, we have got a well-curated list of things you should read before starting your own coffee shop. Our tips will surely help you find the best start with that awesome coffee shop idea. Shall we start? Planning becomes a necessity when it comes to a coffee shop business. It’s only with a proper plan that you can have a good path of execution as well. By plan, we do mean a lot of things here. First of all, you have to know for whom you are building the coffee shop. Then, you should analyze the presence and performance of possible competitors. After that, you have to re-consider your further plans, as in what should be done in one years’ span and all. Last but not least, you should know which kind of people are going to visit your place in the course of time. You have many choices when you want to open your coffee shop. We are talking about the space availability here. However, before doing that, you should know about the potential customers and their spending habits. If you are going to open the shop in a relatively-poor area, the pricing should be able to meet up with their budget expectations. On the other hand, if we are talking about some truly rich potential customers, you’ve the freedom to adapt to the surroundings — given that you have something unique and enriching to offer. It is a sure-thing that is going to determine the future of your coffee shop. We have had many instances when we heard about some superb coffee shops but failed to find it. Yes, you too would have had the experience in your life. So, first and foremost, you should make sure that the coffee shop building is visible to the common public. There is nothing harm in spending a bit more if you can have a sure-shot place that attracts almost everyone around. However, there may be times when you cannot find a good space in town but badly need customers from there. Then, you can use some visual marketing and customer-leading techniques to make them find your place. Every successful product or service is about the Unique Selling Points they have. Your coffee shop, being one type of profitable business, should have the same. Taste was a unique thing in the beginning, but with a lot of machines for the versatile collection of coffee needs, you won’t have trouble in moving ahead. So, you’d have the necessity to offer something out of the box. For instance, we recommend having a better interior and exterior for your coffee shop. We have found this trend helpful in most of food-based spaces. The total ambience in a coffee shop will make people love it — even if you are about perfect in case of taste. Placed a lot of flyers and billboards around? Well, there is no point in the offline-only marketing now. As a competitive businessperson, you should know the optimal method of marketing in the place. there are a lot of people who go on apps and services for finding the best coffee around. At the same time, make sure that you are present in the Google Searches. It’s about being known in the real and virtual world at the very same time. It’s only then, you can have a consistent experience of marketing, with a huge customer-base. You can have many people with the urge to earn money for your coffee shop. Then, there are some people who are into the art of hospitality, even if they are earning a bit less than expectations. Make sure that your team has passionate members like that. We hope you are someone who loves coffee, and say, loves to make some good coffee. So, instead of being the boss all the time, you too can get into the art of coffee-making. This just enables to see how it goes inside the coffee shop — what your customers say about treatment and what they really need. And, it goes without saying, the team should have a rapport with you. You can make your coffee shop a success with the proper amount of networking. While doing that, you will have to target people who will be beneficial in the long run, and we are talking about long-term benefits as well. One thing when you are a coffee-addict is that you love to talk about coffee and its versatility. So, you can better create a space that lets you talk, express and live the life you want — meanwhile increasing reach of your shop. If you cannot base your networking ventures of coffee, you can have the help of some kinds of associations or charity stuff. This is something that can be very crucial in the future of your coffee shop. It’s good if you have a passionate team and an experienced barista to do the job. However, nothing good is going to happen if you lack one of the finest machines to brew coffee. While purchasing, don’t just look for certifications and total power. Make sure that you are also considering the aspects of taste and consistency. In addition, it’s a good thing if you’d give the barista some space to experiment. Well, these things should help you find and build the dream coffee shop you had in your mind. If you need quick answers, here it is: make sure that the coffee shop is a place for you to get the perfect coffee in town — so is it to others. That’s where your coffee shop becomes a real successful thing. At the end of the day, you should value the successfulness of the shop not just through numbers of profit but the reputation your shop has created among the people around.